This rubber blank disc is the essential accessory you need for maintaining any espresso machine. Made from high quality rubber, it is a piece of cleaning equipment that you can rely on. 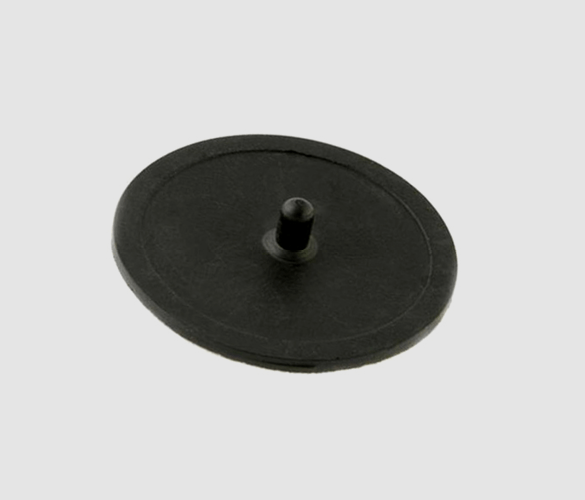 The rubber disc is used by inserting it into an empty portafilter to block any holes or leaks. This allows you to backflush the machine, which is vital for keeping it in great condition. This is the perfect cleaning companion as it comes with a handle for easy removal, as some can be difficult or dangerous to remove without this feature. This makes cleaning so much easier and quicker, which gives you more time to make delicious coffee! Why do I need to clean my coffee machine? Hygiene – First and foremost, hygiene is the most important reason for keeping on top of your routine. A build up of bacteria could be harmful if left for long periods of time. The safety and wellbeing of your customers is always a priority when preparing food or beverages. Taste – A build up of old coffee is a guaranteed way to get a bad taste in your cup. If you’re investing in high quality beans, make sure you are showcasing them in the best light by getting your cleaning routine in order. Appearance – If you’ve invested in a high-end espresso machine, you probably want it on show for your customers to admire. So, this makes it even more important to make sure it is looking shiny and new. Longevity – An espresso machine can be a big investment, so maintaining it will help it last a lot longer. A build up of old coffee and bacteria could damage the machine over time, so it’s best to have a regular cleaning routine to keep it in great condition. Remove the portafilter and dump out any old grounds. Leave it on the side for now. Turn on the hot water and brush out the group head (be careful not to let the hot water trickle on to your hand). Remove the basket from the portafilter and wash with the solution recommended by your espresso machine supplier. Insert the rubber disc into the portafilter and backflush 5 times. Soak the milk wands in hot water and solution in a jug for 2 minutes. Remove the tray, wash in the sink, dry and place back onto the machine. Wipe down the machine with a warm cloth. To make the end of day washing easier, make sure to always remove old grounds from the portafilter, wipe the milk wands between each use and keep a warm cloth close by for any spills or splashes.